The nursing profession has been expanding for years already; you would be surprised with the number of nursing specialties that exists today. Despite the nursing shortage in some countries, the trend for nursing specialties never goes out of style. More and more registered nurses pursue studies in their fields of interests, leading to more competent and competitive nurses around the globe. Notwithstanding the salary (which is pretty much terrific), the satisfaction that a nurse gets from being a nurse specialist draws them to further their studies and perform in their fields of interests. We compiled a list of 10 nursing specialties that a nurse wants to enter, so take a pick and see where it might take you. Nurse anesthetists are highly competent and skilled nurses who collaborate with anesthesiologists during surgeries. Nurse Anesthetist is one of the most sophisticated and complex nursing specialty in the field of nursing. Nurse anesthetists are highly competent and skilled nurses who collaborate with anesthesiologists during surgeries. They specialize in the administration of anesthesia for surgical, obstetrical, and trauma operations. 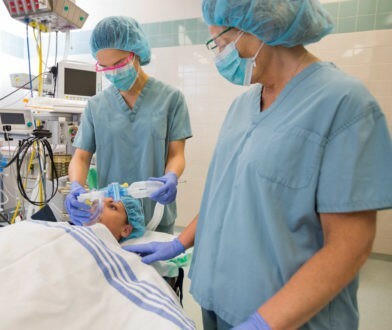 There is an increasing need for nurse anesthetists because more and more rural hospitals are being erected, and almost all surgical anesthesias are administered solely by nurse anesthetists. How to Become One: To become a certified nurse anesthetist, you have to obtain a bachelor’s degree in nursing and become a licensed nurse. Next, finish a master’s degree and obtain more than a year’s experience from an acute care facility then take a certification exam to become a certified nurse anesthetist. Why to Pursue This: Most experienced nurses, especially operating room nurses, want to pursue this path because it gives them more precise and detailed knowledge of the nervous system. They yearn for a more challenging task and being a nurse anesthetist would surely satisfy this thirst. The salary is humungous, of course. You may earn up to $154, 390 annually. Nurse Researchers are considered as detail-oriented and very organized. A nurse researcher must possess strong writing skills for writing grant proposals and clinical study reports. They conduct researches that improve nursing practices and standards and also discover cures to diseases. How to Become One: To become a nurse researcher, obtain a bachelor’s degree in nursing then become a licensed nurse and take up your master’s in nursing. Having a doctorate in nursing is a plus because it can create more opportunities of studies for you. Why to Pursue This: Nurses who have the passion for writing and discovering new things usually pursue this specialty. It gives them the opportunity to embrace their interests and at the same time be a nurse in the profession. Engaging in experiments also may excite your mind, and you will just find yourself having fun in this specialty. The salary also attracts the nurses because you can earn up to $95,000 annually. A nurse midwife aids the pregnant woman during her labor stages, and she can also handle deliveries. The maternal and child nursing community is slowly booming today. 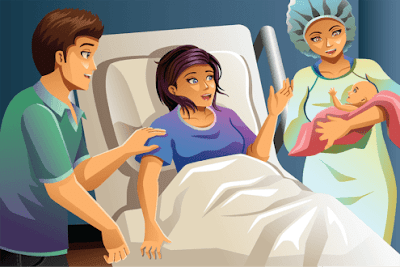 The demand for maternal nurses shot up because of the increase in the number of women who are giving birth in hospitals. A nurse midwife aids the pregnant woman during her labor stages, and she can also handle deliveries. How to Become One: One should have a Bachelor’s degree in Nursing and be a licensed nurse. The nurse also would have to obtain one or two years experience in obstetrics, and then complete a nurse-midwife education. After obtaining this, you can apply for certification from a certification council specific only for nurse midwives. Why to Pursue This: Nurses want to become nurse-midwives because they can hit two birds with one stone: they can still function as a nurse and also deliver babies even without a physician’s present. The salary is also attractive at $ 92,229 annually. These nurses can work across all fields in a clinical setting. Their work requires a lot of research too, but they also get to work side by side with a patient. Clinical nurse specialists can also prescribe medicines, so when there is no doctor around, you can try to consult with the local nurse specialist for some of your minor diseases, and they would prescribe medicine for you. How to Become One: First, you have to finish your degree in Nursing and secure your license. You would also have to complete a master’s degree which gives emphasis in clinical practice. Why to Pursue This: If you are fond of being hands-on with your patients and love working in the actual clinical setting, this would be the job for you. You would also get your mind at work when you reach the research stage. Mind you, the salary is $93, 901 annually. You would certainly love to be one! Being a critical care nurse requires more extensive knowledge of different medical conditions and should be very detail-oriented when it comes to their patients. Nurses in the critical care area work in close collaboration with specialists, for they are carefully monitoring each critical patient’s status. The most that are assigned to a critical care nurse would be two patients per shift. They would have to experience a wide variety of diseases, so being a critical care nurse requires more extensive knowledge of different medical conditions and should be very detail-oriented when it comes to their patients. How to Become One: Obtain your Nursing degree and license first. Experience in the critical care area is a must so you can apply for a critical care certification exam. Once this is passed, to keep your certificate current, you would need to attend continuing education courses as required by your institution. Why to Pursue This: You would be caring for a patient more closely, and you would be able to see all the changes the patient would undergo as time moves on. You would get to see the effects of your interventions and the medical interventions, and would have more understanding of disease conditions more than a regular nurse has. If most of us have family physicians, it is time to know that nurses have a field that specializes in family care too. These are the nurse practitioners, and they can examine, diagnose, and prescribe medications for common disease conditions of the family. How to Become One: Completion of a bachelor’s degree in Nursing and obtaining your license are the first steps. Complete a master’s degree, and then apply for your family nurse practitioner certification from the American Nurses Credentialing Center or the American Academy of Nurse Practitioners. Why to Pursue This: If you are more inclined to help families through their journey towards their wellness, then this would fit you like a tee. You would be the go-to of every family when they have disease conditions, and you would get to monitor each member’s health and wellness. The salary is also pretty attractive at $94, 407 annually. Nurse Managers supervise the registered nurses under them and also acts as the bridge between the staff nurses and the management. 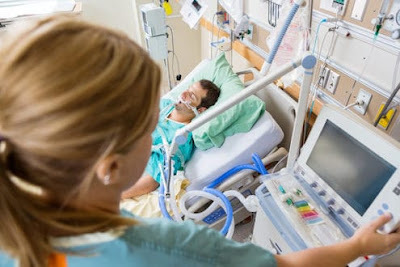 They facilitate every nurse with their patients and can also be found at the bedside, but they also handle disciplinary works and higher lever tasks. How to Become One: Finish your bachelor’s degree in nursing and then take management classes. Obtain your license and experience in working in a clinical setting. Complete a master’s degree in healthcare or business administration. Lastly, pass the proper certification exam from the American Organization of Nurse Executives. Why to Pursue This: When you are born with the leadership skills and also active in supervising every group interactions you had at nursing school, then you can develop and become a nurse manager. A nurse manager must have the skills for patient care and the managing skills too. The salary would be at $93, 371 annually. Nurse case managers focus on one disease for every person. They obtain information including the history, present illnesses, and practices of the patient that lead to the present disease condition. They work in a primary care setting to monitor the treatment and coordinate the care of their patient with other healthcare providers. How to Become One: Complete your bachelor’s degree in Nursing and secure your license. You can take your master’s degree with emphasis on health conditions and illnesses. Then, gain your certification from the Case Management Society of America and pursue continuing education to maintain the certificate. Why to Pursue This: If you have the penchant for details and health conditions, then you would find your fit at being a case manager. You would be getting to know the patient more than giving care and treatment, and this could be quite fulfilling once you have achieved all your goals for their health. The salary could also motivate you at $85, 000 annually. These nurses specialize in the care of neonates, newborns who are 28 days old and below. They administer medications, perform procedures, and deliver oxygen to neonates especially the premature ones. How to Become One: Obtain your degree in nursing first, and then secure your license. You must also have an experience in working in the neonatal care unit and finish your master’s degree. Why to Pursue This: Most would answer that they would pursue this specialty because they love babies. You would not only care for healthy babies, but you would also have the chance to care for neonates who are critically ill. Estimated annual salary for neonatal nurses is $ 91,000. They are responsible for the education that we had at nursing school. They teach student nurses all they need to know to become a nurse and also supervise them during clinical duties in hospitals they are affiliated in. This is currently the highest nurse specialty in demand across all states. 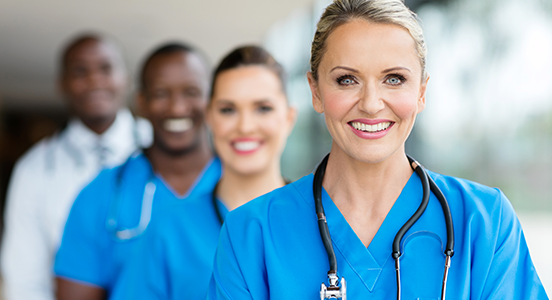 How to Become One: Obtain your bachelor’s degree in nursing and secure your nursing license. You also have to complete a master’s degree. A doctorate is not necessary, but higher positions are given to those who have doctorate degrees. You would also need to pass a nursing educator’s certification exam from the National League of Nursing or other professional nursing organizations. Why Pursue This: This is a very fulfilling specialty because you would be giving the students their foundations on how to become an efficient nurse. You would teach them all they need to know until they become your colleagues and you would be able to see the fruit of your labor when they become registered nurses like you. The salary is also competitive at $83,000 annually.